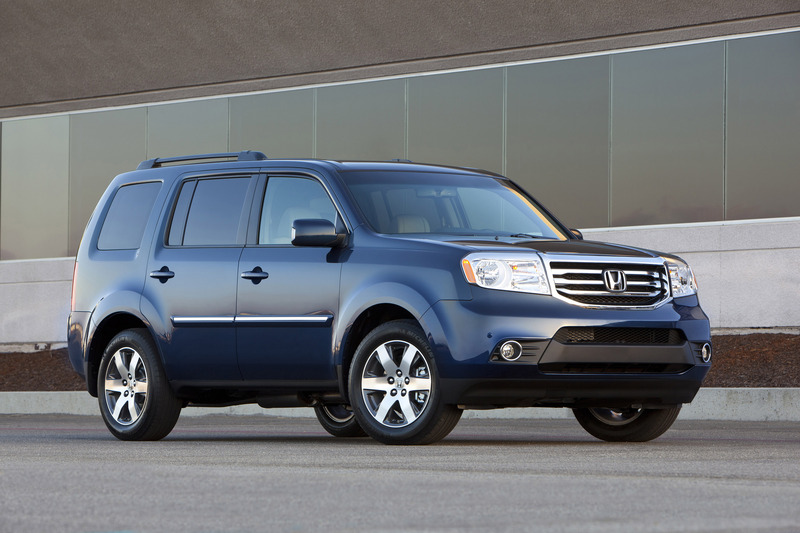 Designed as the 'Ultimate Family Adventure Vehicle' and boasting the highest EPA-rated fuel economy any eight-passenger family SUV, the award-winning Honda Pilot is back for 2014 and goes on sale today with a manufacturer's suggested retail price (MSRP) starting at $29,670. The Pilot combines an EPA-rated highway fuel economy of 25 mpg (2WD models), a high degree of practicality with its versatile and functional cabin, a choice of 2- or 4-wheel drive, and up to 4,500 pounds towing capability (4WD models), and a fun-to-drive character. 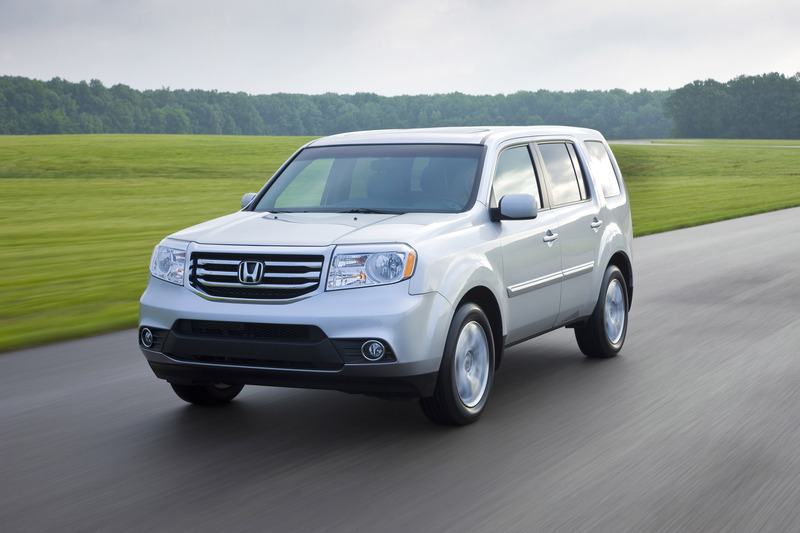 Together with Honda's trademark quality, safety and low cost of ownership, the 2014 Pilot is an ideal transportation solution for families with varied and active lifestyles. 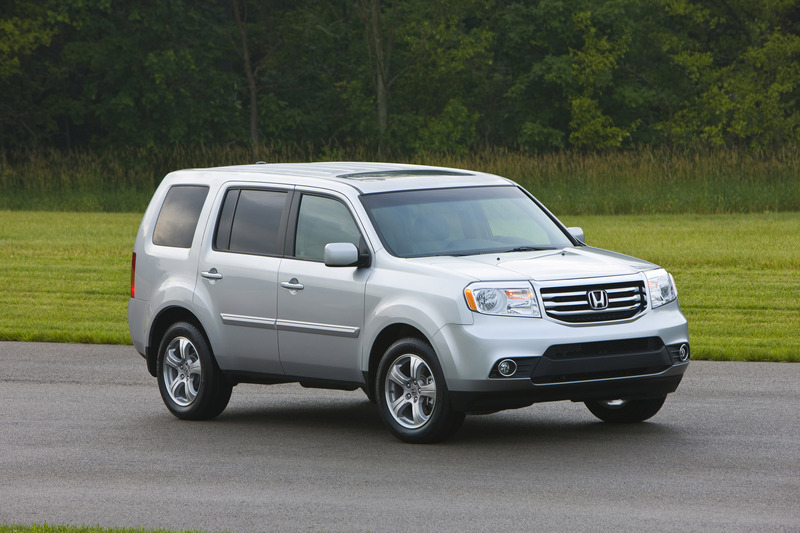 The 2014 Pilot is available in four trim levels: LX, EX, EX-L (leather) and Touring. 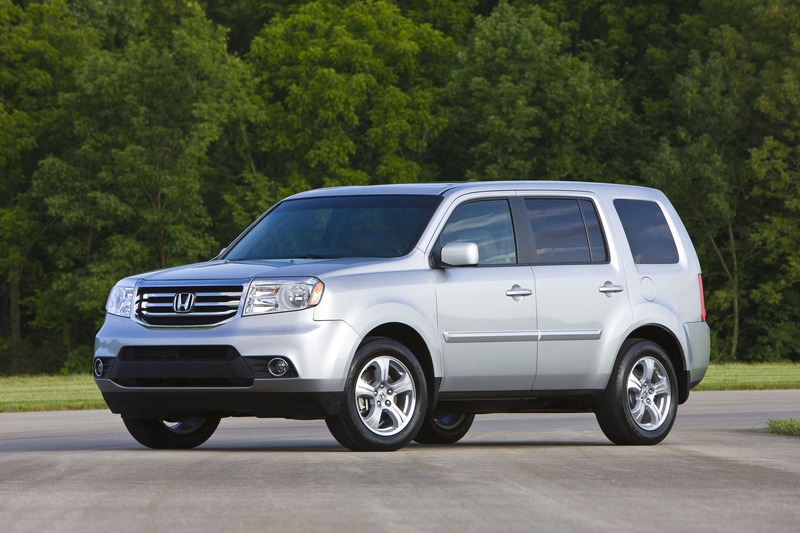 A Honda Satellite-Linked Navigation System™ and a Rear Entertainment System are available on the EX-L model and standard on the Touring model. 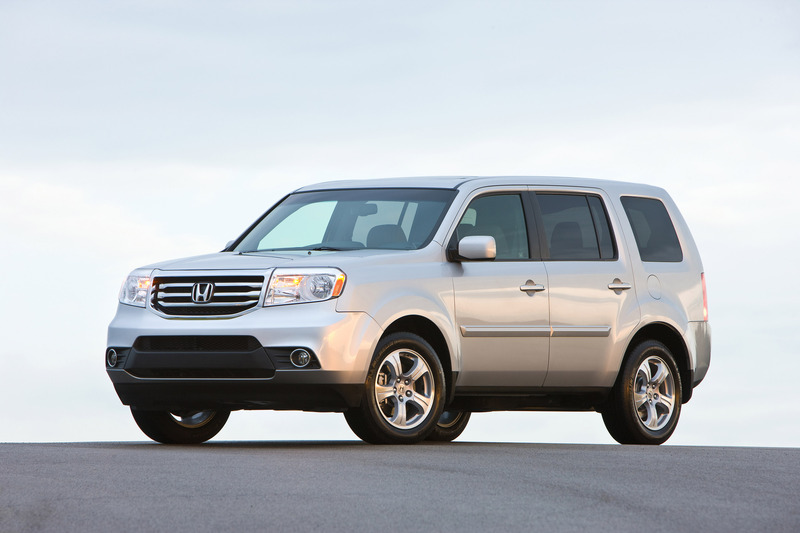 The Pilot is powered by a refined 250-horsepower 3.5-liter i-VTEC V-6 engine, and is available in both 2- and 4-wheel-drive configurations. The Pilot's advanced 24-valve all-aluminum V-6 engine offers numerous friction-reduction technologies, "intelligent" Variable Valve Timing and Lift Electronic Control® (i-VTEC®) and Variable Cylinder Management™ (VCM™). The VCM system allows the V-6 engine to operate in 6-cylinder mode for maximum power and in either 4-cylinder or 3-cylinder mode for increased efficiency. 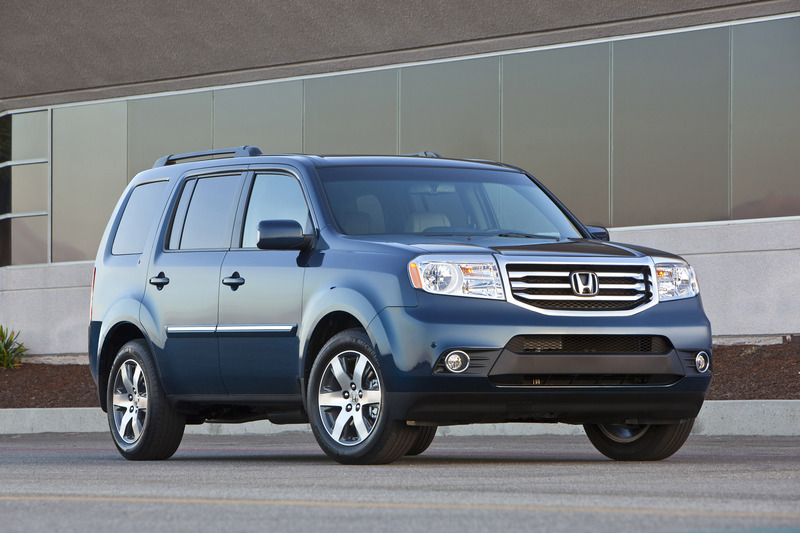 The Pilot's EPA fuel economy ratings give the 2014 Pilot 2WD the highest fuel economy rating of any eight-passenger SUV and the Pilot 4WD the highest fuel economy rating (highway) for any mid-size 4WD SUV. In addition, the Pilot meets the stringent ULEV-2 (Ultra-Low-Emission Vehicle) emissions rating of the California Air Resources Board (CARB). 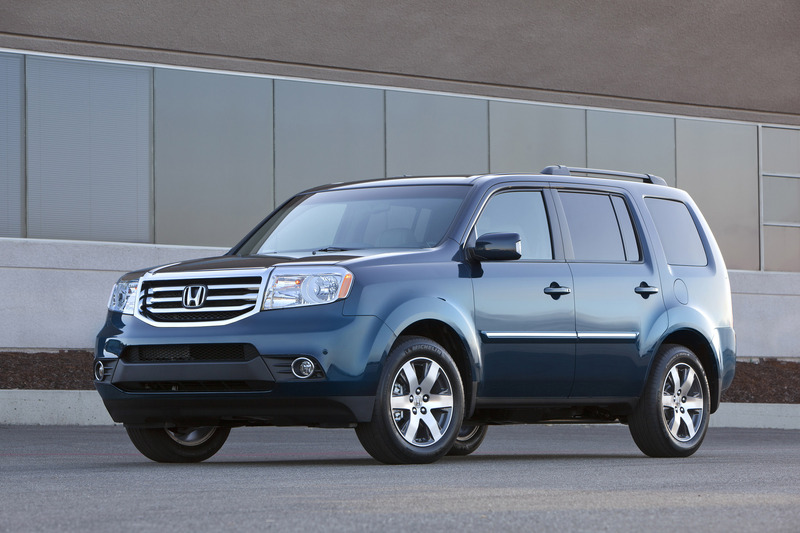 Bold and expressive, practical and elegant, the 2014 Pilot presents its own unique blend of function and style. 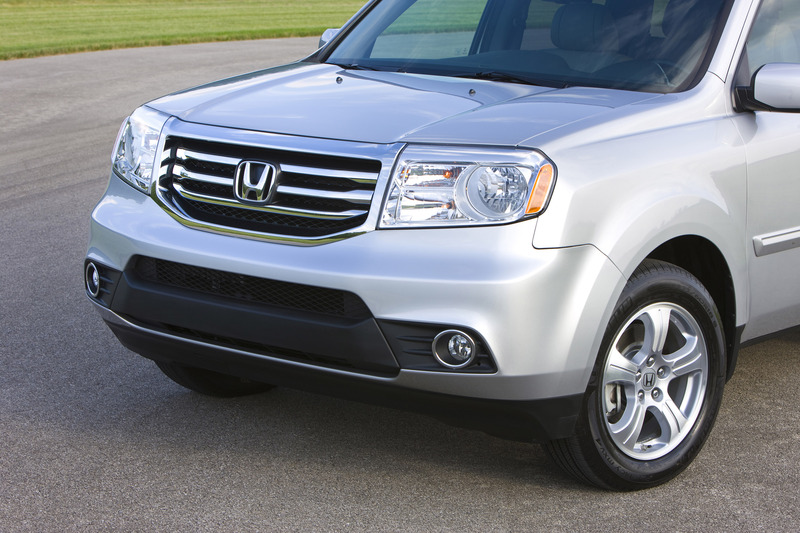 The Pilot's grille and front fascia feature a distinctive 3-bar horizontal design, while multi-reflector halogen headlights and integrated turn signals contribute to the premium look. 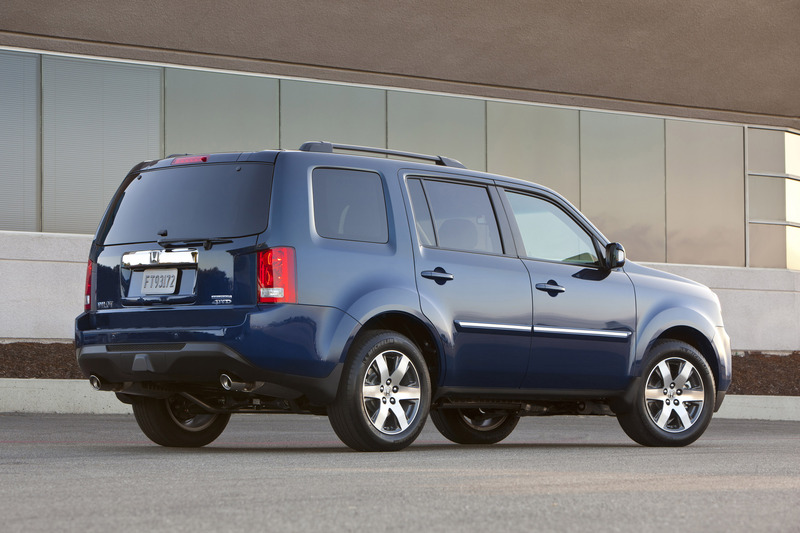 Pilot LX models are equipped with 17-inch styled-steel wheels, while Pilot EX and above models have 5-spoke, 18-inch aluminum wheels. 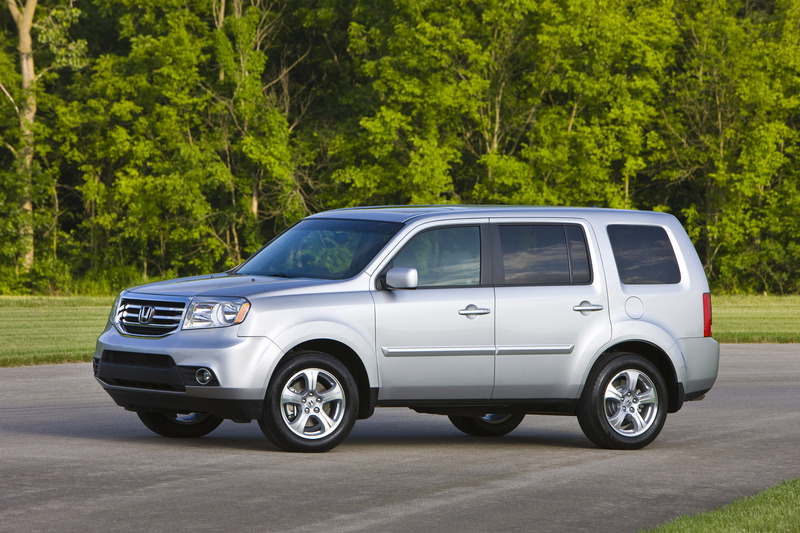 Touring models feature an exclusive 6-spoke alloy wheel design with a high-contrast machined surface. Sophisticated design, high-quality materials, advanced electronic features, and low noise, vibration and harshness (NVH) provide a comfortable and enjoyable experience for passengers in all three rows. 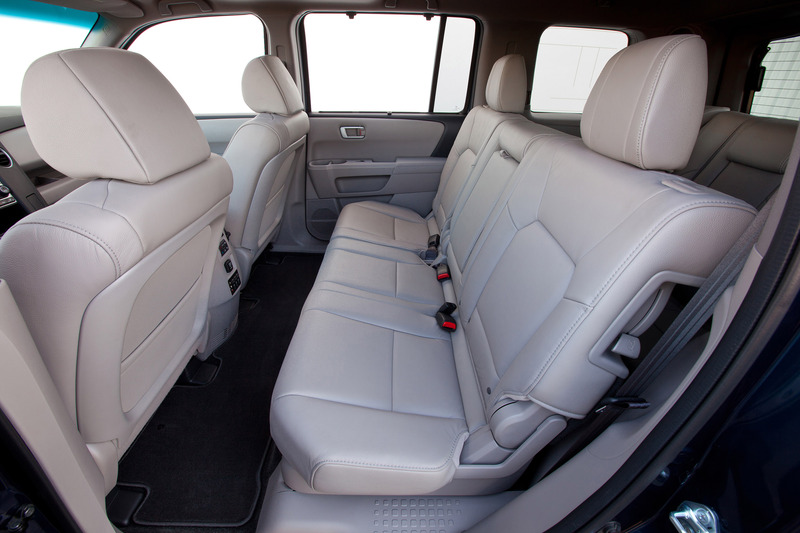 The roomy accommodations include 16 different seating configurations for the 60/40 split-folding second- and third-row seats. All Pilot models come equipped with a high-resolution 8-inch intelligent Multi-Information Display (i-MID) with rearview camera display (multi-angle on EX-L Navi and Touring), iPod album artwork display, and user-loadable wallpaper function, plus Bluetooth® HandsFreeLink®, Bluetooth® Audio, USB connection and automatic climate controls. The Pilot EX and EX-L models include a 2GB CD Library (CD-L), while Pilot EX and above models also include a 10-way power-adjustable driver's seat and tri-zone automatic climate control. The available Honda Satellite-Linked Navigation System™ offers 60 GB of total system memory (including 15 GB allocated for user media) and voice recognition for three languages. Its hard drive can store thousands of minutes of music, which is accessible by simple voice commands using the Song By Voice™ feature. And the free FM Traffic feature provides continuous updates on traffic and incidents. Utilizing Honda's unique Advanced Compatibility Engineering™ (ACE™) body structure, the 2013 Pilot was rated as a "TOP SAFETY PICK by the Insurance Institute for Highway Safety (IIHS). The ACE body helps reduce the amount of crash energy reaching the passenger compartment in a frontal collision and can enhance frontal collision compatibility with vehicles of different sizes and ride heights. 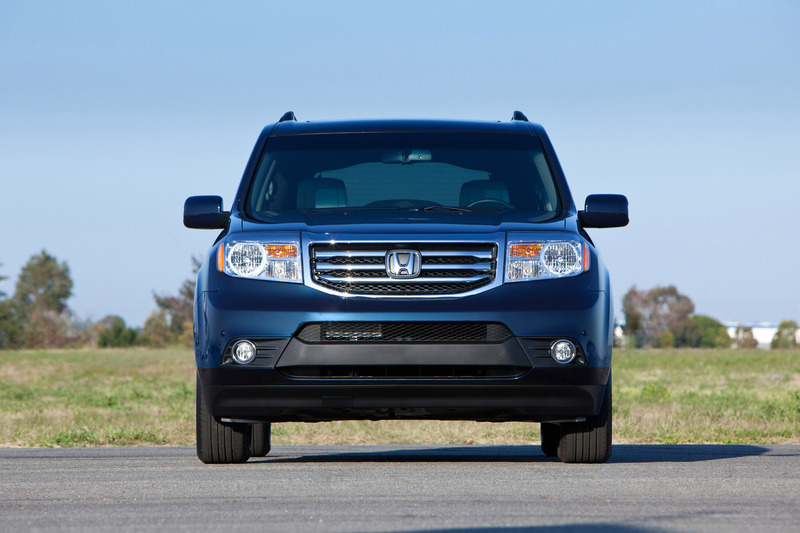 The Pilot is produced by Honda Manufacturing of Alabama, LLC, in Lincoln, Alabama. 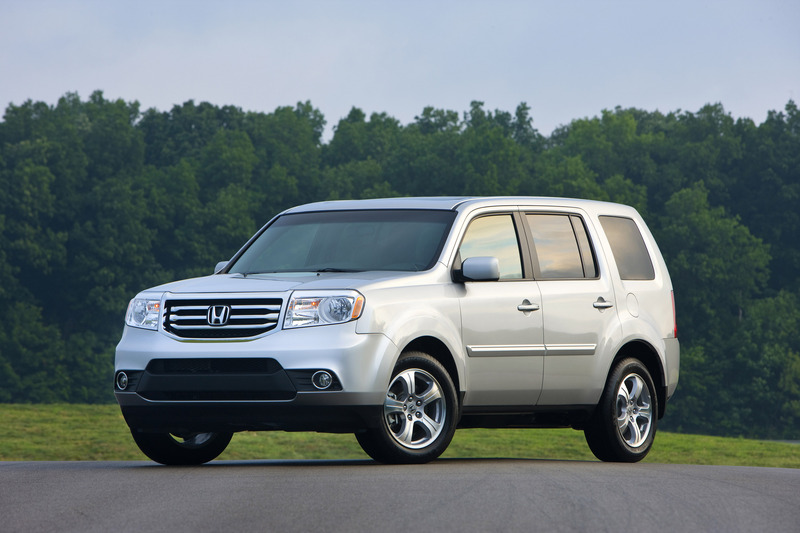 The Pilot was designed, developed and engineered in the U.S. by Honda R&D Americas, Inc. at its R&D centers in Raymond, Ohio, and Torrance, California.